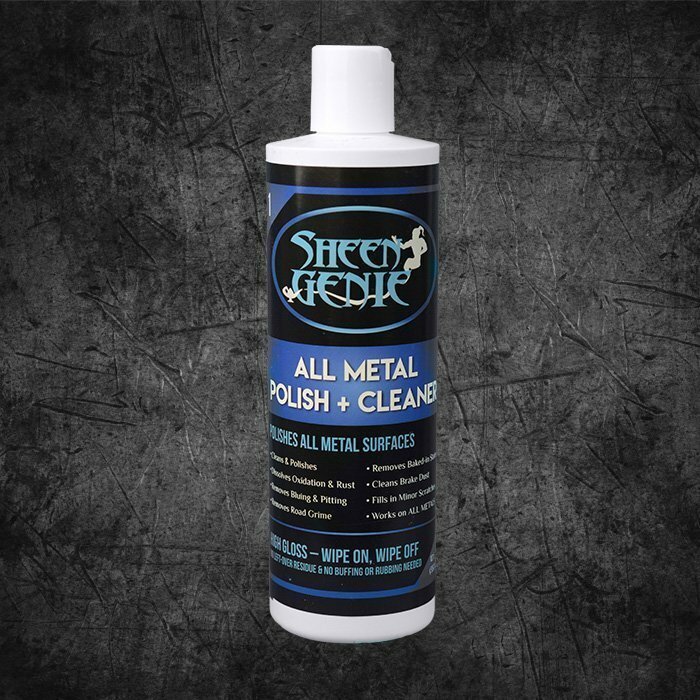 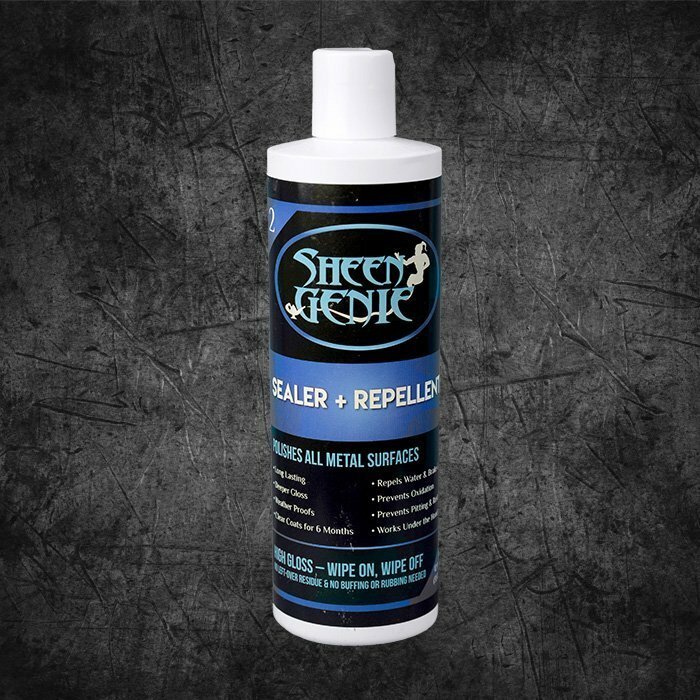 12oz Metal Sealer + Repellent (1 bottle). 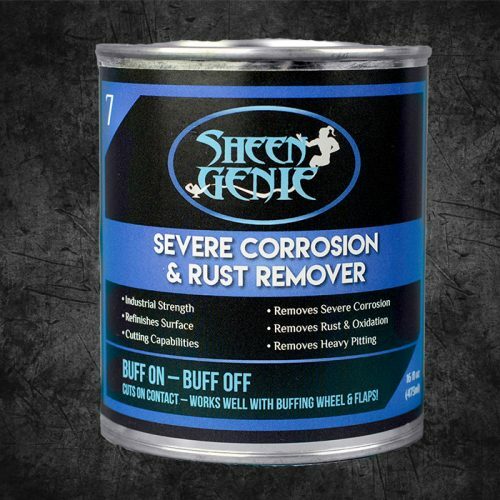 This option is for just the metal sealer + repellent only (1 bottle). 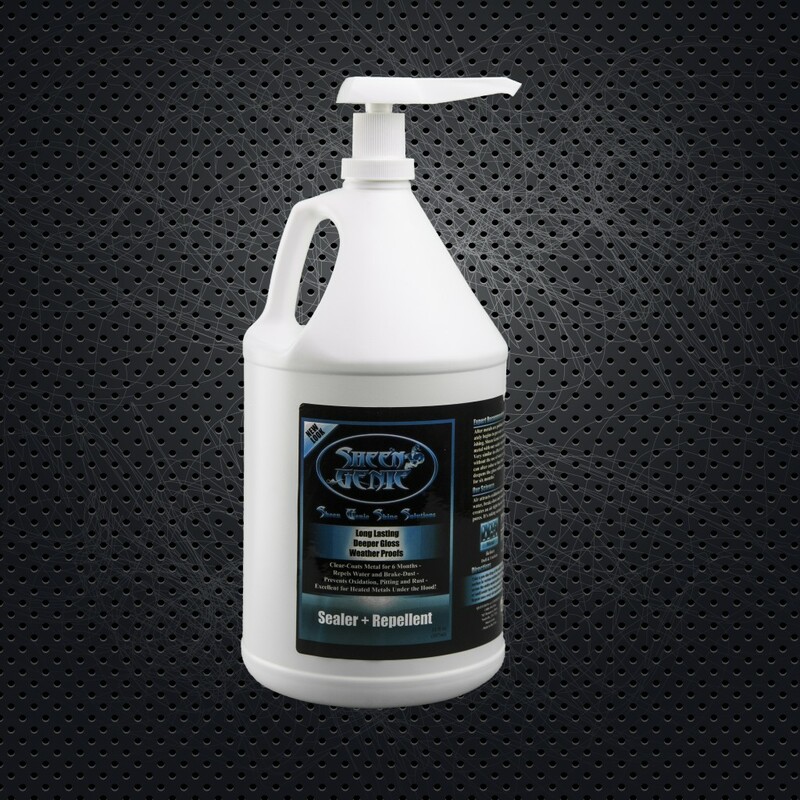 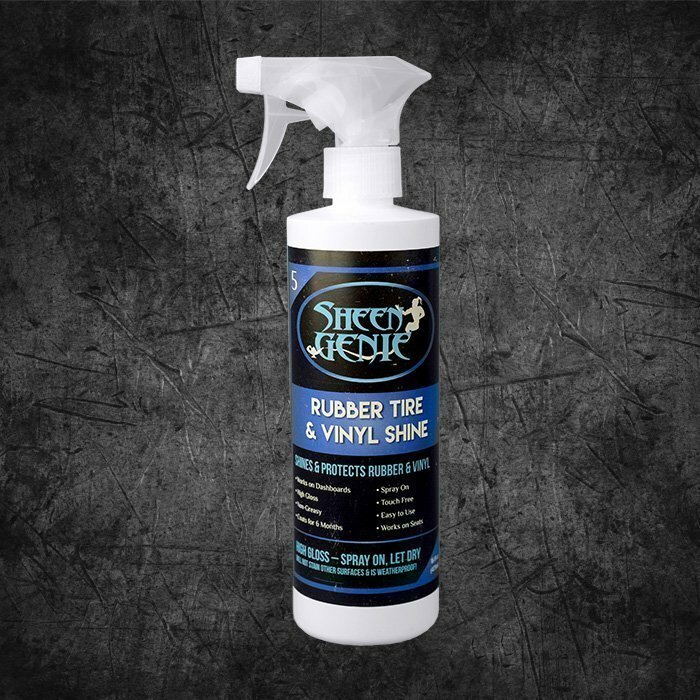 Our Sealer + Repellent is designed for use on any smooth surface. 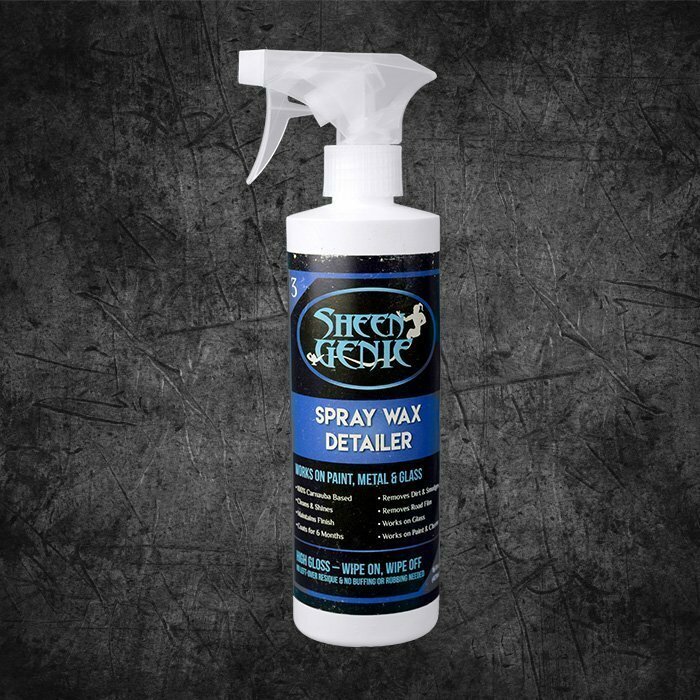 Typically, after polishing your metal surface, apply our Sealer + Repellent to help keep a high gloss shine that will seal the surface you’ve just polished. This will keep further oxidation or discoloration from happening again anytime soon. 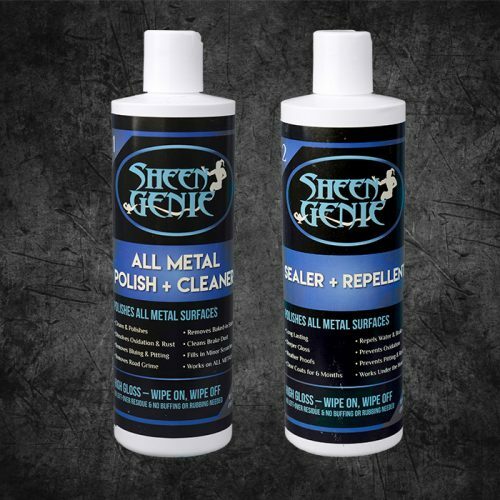 If you are polishing your metal surfaces with our Polish + Cleaner, then our Sealer + Repellent will help keep your shine for up to 6 months (depending on use and your cleaning habits). 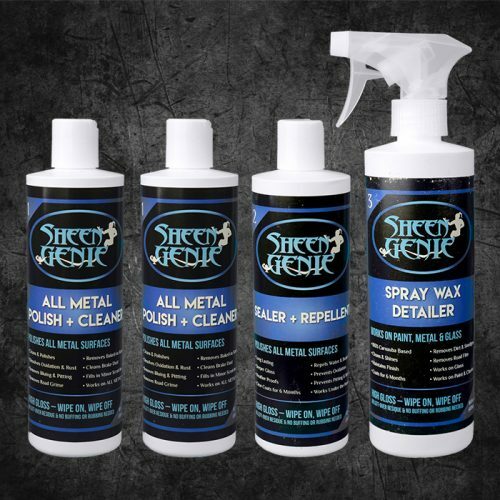 Any time you’ve applied our Sealer + Repellent and you get a little water or dust on the metal surface, simply use a terry cloth towel and wipe the surface off again to see the beautiful glossy surface you had just when you polished originally.